Prominent & Leading Manufacturer from Vapi, we offer wood shade net house. Shade Net House. Shade Net house is a surrounded structure made of materials, for example, GI channels, point iron, wood or bamboo. 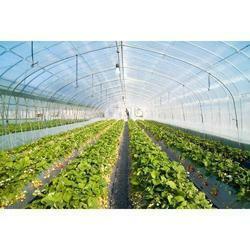 It is secured with plastics net (Nets are made of 100% Polyethylene string with particular UV treatment) having diverse shade rates.